Time for the weekly update on my keto weight loss. This week started out at 95.4 kilos and since I had a quite big weight loss last week I did not have any high expectations for this week. 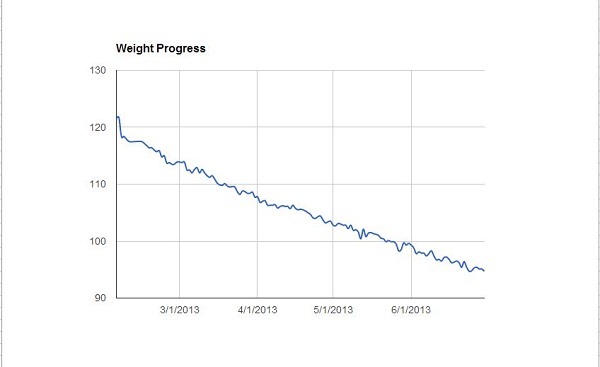 I was just kind of expecting that remain on a similar weight as I started this week. 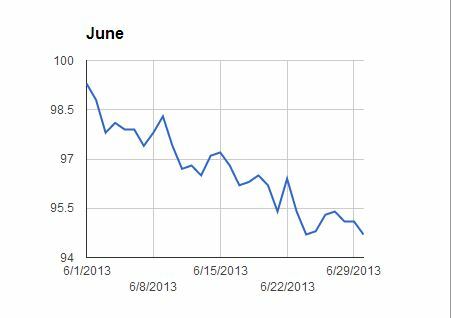 The week started out by a quick weight loss where I dropped to 94.7 kilos already on the Monday. I have no real explanation to that weight loss but I think it was mainly due to I was at the gym on the Sunday and did some weight lifting. For food I had similar food as the other days and did not do anything special during the weekend. However the weight lost I quickly gained back again and on the Thursday I was up to 95.4 kilos which is the same weight I started out on. The rather big changes in weight from day to day can be because of the weight training and that the body binds more water from day to day. I did not worry much about being back at 95.4 kilos since I at the same time saw big improvements at the gym and have set quite many personal best records during this week. After the Thursday I again started to slowly going down in weight and today I am down to 94.7 kilos morning weight. Once again a week where I lost weight and since this is the last day for the month of June I can now also conclude the total keto weight loss on June. The month of June started out at 99.6 kilos and since I am now down to 94.7 kilos it is a total weight loss of 4.9 kilos in this month. Still staying at over 1 kilo per week which is quite good considering I am now very close to having been on the keto diet for 5 months (started in 4th of February). If I continue in this speed I might reach my goal of 90 kilos already in the end of next month. There is however no rush and I will not do anything special compared to what I do now. Eat healthy according to keto diet rules, go to the gym 4 to 5 times per week is something that seems to work for me. 2 Responses to "Keto weight loss results for June"
Not so worried. Have a personal goal of reaching 90 kilos by September. And only 5 kilos to go in two months so should not be a problem. Wish you a nice weekend also Harleena.